Players of Grand Theft Auto are up in arms after legal threats forced the closure of a popular toolkit used to make add-ons or "mods" for the game. GTA creator Take-Two issued a "cease and desist" letter to Open IV toolkit's creators, saying it aided piracy. Open IV's Russian developers said they did not have time or energy to go to court so have stopped distributing it. Gamers have filled GTA forums with criticism of Take-Two for shutting down the long-running mod toolkit. One player said he hoped the legal claim was a joke, another said it was a "sad day" for GTA fans and a third said Take-Two had removed a "massive selling point" for the PC version of GTA. "Almost ten years of my life were dedicated to @OpenIV and now this time is over," tweeted Open IV lead developer Good-NTS after deciding to shut down the project. In a message posted to the GTA Forums website, Good-NTS said the team had received a "cease and desist" letter on 5 June alleging that it allowed "third parties to defeat security features of its software and modify that software in violation Take-Two's rights". He wrote that fighting the claim in court would take months of time and effort and, even if they won, would not help the company more forward. "Spending time just to restore status quo is really unproductive, and all the money in the world can't compensate the loss of time," he said. As a result, Open IV would no longer be available for download. Anyone using the kit is now greeted with a message explaining what has happened when they start up a modified version of GTA. Players are urged to uninstall the software to "avoid possible legal issues". The kit has proved hugely popular as it let people who own the single-player version of the game fiddle with its data files to customise objects, models and textures. The tool first appeared in 2011 and a new version for GTA V was released in 2015. 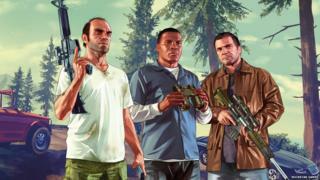 In a statement, GTA creator Take-Two said: "Take-Two's actions were not specifically targeting single player mods. "Unfortunately OpenIV enables recent malicious mods that allow harassment of players and interfere with the GTA Online experience for everybody. We are working to figure out how we can continue to support the creative community without negatively impacting our players." "Game mods have always existed in a legal gray area, and they have often operated via the tacit blessings of rights holders," wrote David Kravets, senior editor at new site Ars Technica.